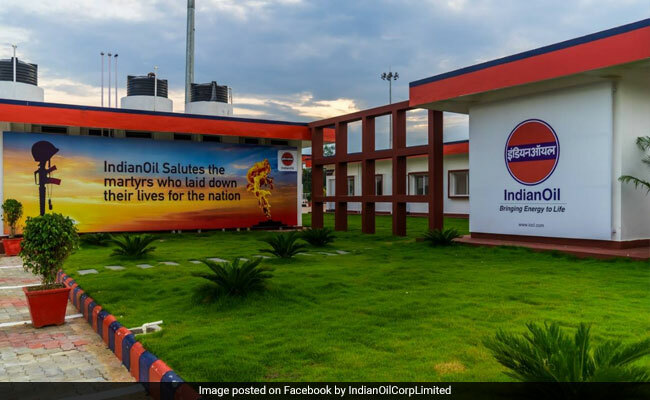 The CBI arrested Indian Oil General Manager Dibya Jyoti Datta in Guwahati for allegedly receiving bribe of Rs 2 lakh from a businessman after promising to allot him a petrol pump by manipulating computer systems used in the lottery for allotments, officials said on Tuesday. Dibya Datta, General Manager (Sales) of the stat-run firm, had assured them of help in winning lottery of new retail outlets by manipulating computer systems, the officials said. The agency had registered a case against Dibya Datta, Lal Chand Choudhary, Bendangnaro, besides two others -- Laxmi Narain Sogani and Tony. Dibya Datta allegedly entered into a criminal conspiracy with Lal Chand Choudhary, who is based in Nagaland, with an assurance of favouring him in allotment of one retail outlet in return for a bribe, the FIR alleged. On December 24, Lal Chand Choudhary informed Dibya Datta of having applied for more than one retail outlets including the one in Tuli in Nagaland for which he claimed that the application was selected, the FIR said. Dibya Datta told Lal Chand Choudhary that he was lucky that he could ensure selection of his application before changes in the system took effect and demanded bribe soon for this selection, it said. The agency alleged in its FIR that Dibya Datta asked for a bribe of Rs 5 lakh to be delivered to him on February 10 in Guwahati. Lal Chand Choudhary told Dibya Datta that he is sending Rs 2 lakh as first installment through a woman, Bendangnaro Ao, who is his business associate. Dibya Datta also asked him to pay Rs 50,000 and Rs 55,000 as premiums to an insurance agent in Dimapur on his behalf, the CBI alleged. The agency arrested Dibys Datta, Bendangnaro while exchanging bribe on Monday and Lal Chand Choudhury was arrested later.